Incredible though it may seem, this is not a joke, it's a comeback. Compact Cassettes are coming back. No kidding. That obsolete and bad sounding technology is becoming attractive again. Like vinyl, just worse. Indeed, though good vinyl can sound extremely well, compact cassettes have so many technical shortcomings that using them as a music source is a pure nonsense. We have portable devices that can store and play thousands of high resolution files, why should one bother with such an obsolete and technically challenged technology? I don't know, but certainly the nostalgic factor plays a fundamental rule here. Before giving you the (impressive) numbers of this comeback, let me briefly summarize the main facts on Compact Cassettes. The Compact Audio Cassette or Musicassette (sometimes called MC) was/is nothing else than a plastic shell with two small spools between which the magnetic tape is passed and wound. If you wish, you can play or record music on it. Or you can throw it into the nearest trash bin. Your choice. The Compact Cassette was developed by Lou Ottens at Philips in Hasselt, Belgium, and released in Europe on 30 August 1963 (that's 56 years ago!!!) at the Berlin Radio Show and in the United States (under the Norelco brand) in November 1964. In 1971, the Advent Corporation introduced the Model 201 tape deck that used Dolby type B noise reduction and chromium(IV) oxide (CrO2) tape. This way the quality of the sound started to take off. The rest is history and those of you with some grey hair (if any) might remember well all the developments of this format. Between the early 1970s and the early 2000s, this medium was one of the two most common formats for prerecorded music, alongside the LP record and later the compact disc. When recordable CD (CD-R) hit the market, the Compact Cassette sales started to decline. Until now. Fast forward (pun intended) to these days. National Audio Company in Missouri, USA, is the largest of the few remaining manufacturers of audiocassettes. They oversaw the mass production of the “Awesome Mix #1” cassette from the film “Guardians of the Galaxy” in 2014. More than 10 million tapes were produced by NAC in 2014 and that sales were up 20% the following year, their best year since they opened in 1969! In 2016, cassette sales in the United States grew by 74% to 129,000 and the 2017 saw a whooping +35% increase of sales! In January 2018, National Audio Company began producing their own magnetic tape, becoming the world's only manufacturer of new tape stock. In the UK, last year (2018) was the best one for cassette sales in over a decade, the British Phonographic Industry (BPI) revealed sales of this format were up 125.3% year-on-year, reaching 50,000 sales in 2018 (they were just under 30,000 in 2017). Well, it seems people are going crazy with Compact Cassette. I'm afraid we won't have to wait too much to discover some crazy (or smart?) manufacturer who tries to convince us compact cassettes sound better than vinyl or digital music. You've been warned. 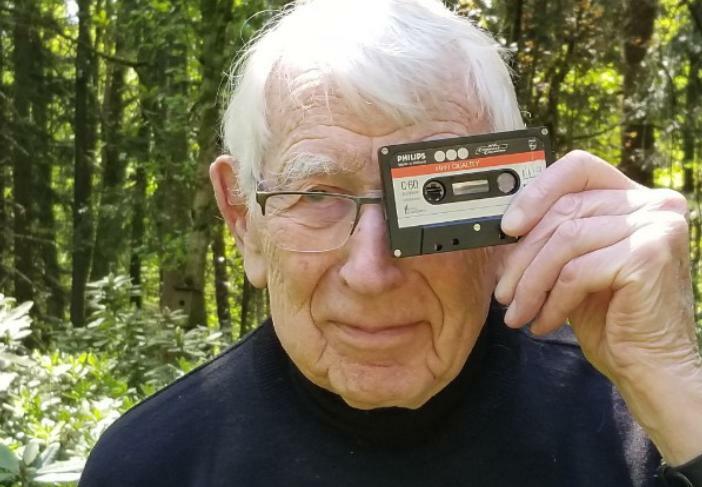 Enjoy this documentary on the introduction of the Compact Cassette, including an interview with Lou Ottens himself, its inventor at Philips.